Here are 5 Fun, Low-Key Ways to Get Drama on the Transcript! Producing a play is loads of fun! 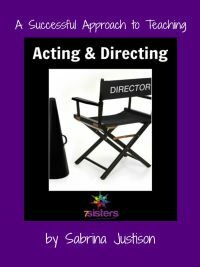 It’s also a big commitment, and sometimes homeschoolers in your community or even your own children would benefit from involvement in drama at a time but there is no director/producer available to mount a full-scale production of a play. 1. Prepare “An Evening of Monologues and Cuttings.” There are loads of books available created for actors who need a personal mini-library for auditions or classroom work. Find an appropriate monologue or two for each actor, study a bit about the background of the piece, and prepare for a low-key, living room performance. You can build your teen’s confidence for this with the activities in 7Sisters’ Speech curriculum (it is loads of fun)! Watching performances of your teen’s monologue by other actors is easy in the day of YouTube, so you can get lots of ideas on how to present the piece. If you try this with a co-op, you’ll have enough performance material for an event! Maybe combine it with a potluck meal for the families of the actors, invite grandparents or friends, and clap as loudly as you can! 3. Organize a talent show in your homeschooling community. If there are only a few kids who want to act, help them find monologues or cuttings from plays, and fill out the event with singers, jugglers, artists, dancers, etc. 4. Offer to teach an Acting Class for a semester in your homeschool community. You don’t have to be an expert. 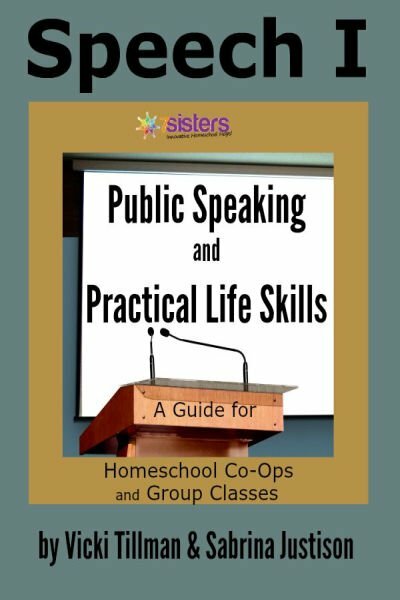 Meet weekly for 2 hours, and use 7Sisters user-friendly homeschool drama materials (there are even some FREEBIES to get you started). Also, use the internet and video of productions for your own learning process as you figure out ways to help students bring their characters to life. 5. Readers Theatre Readers Theatre is so much fun for a co-op or homeschool community event. Check out the Readers Theatre episode of The Homeschool Highschool Podcast AND this post for how-to’s. Creating these kinds of opportunities for student actors will require much less on the part of the director — no need for booking a stage or a church for performance; no need to find a whole cast; no need to do costumes for a crowd. They can have some transcript-building and just-plain-fun experiences with drama!